Ralph Hasenhuttl believes that Southampton have found the right "balance" to kick clear of the Premier League relegation scrap. The Austrian boss hailed his back-three of Jack Stephens, Jan Bednarek and Jannik Vestergaard for helping transform Saints' play both on and off the ball. 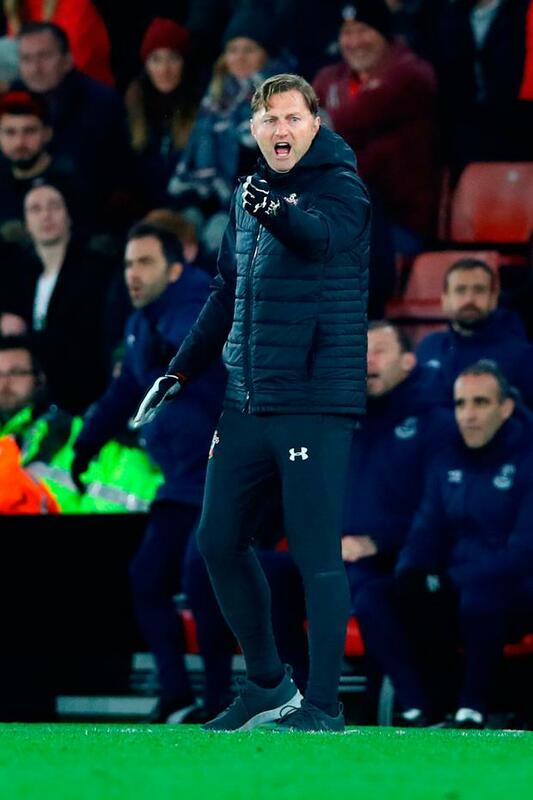 James Ward-Prowse and an own goal from Lucas Digne sealed Saints' 2-1 win over Everton at St Mary's on Saturday, leaving manager Hasenhuttl boosted by the quick progress on his watch. Former RB Leipzig boss Hasenhuttl already boasts four wins in eight top-flight matches, where predecessor Mark Hughes claimed just three in 22. "Jack Stephens has taken the place from Maya Yoshida, and you'd think he's been playing all the time, in this back five," said Hasenhuttl. "We've worked a lot with this back five and we've found this shape and it's fitting perfectly for us. "Bednarek, Stephens and Vestergaard have found each other, and I think they are a very good balance. "They enjoy defending together and enjoy defending for the team." The new Saints boss hailed this victory over the Toffees as the best performance of his short stint at the helm. "You can feel it's a very positive atmosphere at the moment, everyone can identify with this team," said Hasenhuttl. "The passion they show in every game is amazing and then the wins and all the good results come along the way. "We were physically very strong but what I liked more was we were just footballing fantastic I think." Everton boss Marco Silva was left to rue further inconsistency from an expensively-assembled squad not yet realising its expected potential. "It's our challenge, to come here to get a result, to keep winning, to be more consistent," said Silva. "It's not something new. We have to look for ourselves because this is a little bit different from some of the other matches."